With the Berg Light Set, you're always visible in the dark- for your own safety. The light set will only fit the larger ones of the Berg go-karts. 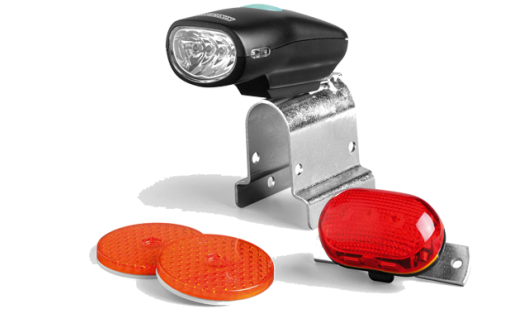 Contains a complete set of: white front headlight, red LED light for the rear and two reflectors.